For as long as I can recall every Christmas, (that I didn’t have to work), among all the delectable delights that we make, my mother would make gingerbread houses and biscuits for us all to enjoy. And it is impossible for me not to feel the warm Christmas nostalgia whenever I pull freshly baked gingerbread from the oven, no matter what time of year. 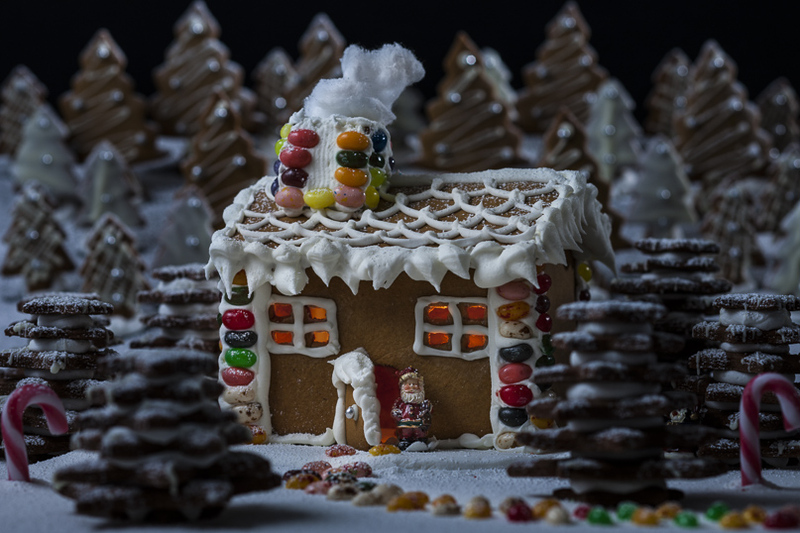 You may think it is hard to make a gingerbread house, but in truth it is pretty simple, and the internet is littered with templates for houses of all different shapes and sizes. My advise for first timers is to stick to a basic template such as this one, but don’t be afraid to draw up your very own one. Combine the flour, ginger, brown sugar and butter in a food processor. Process until mixture resembles breadcrumbs. Add the golden syrup and egg yolk, then process until dough just comes together. Cut dough in half and wrap in plastic wrap. Refrigerate for at least 4 hours or until well chilled. Roll dough, 1 portion at a time, between 2 sheets baking paper until 5mm thick. Remove top layer baking paper. Using house template cut-outs different biscuit cutters as a guide, cut shapes from dough. Place gingerbread in a single layer on lined baking trays. Place gingerbread on trays. Bake, 2 trays at a time, for 15 minutes or until firm. Cool on trays. Make royal icing: Using an electric mixer, beat eggwhites until soft peaks form. Gradually add icing sugar, beating constantly until thick. Use icing to join walls together. Spoon the icing into a snap-lock bag. Trim 1 corner of bag and pipe windows and doors on house and frost on roof edges. Allow to dry. Spoon remaining icing into snap-lock bag. If decorating with lollies, pipe a little icing on the back of each lolly and attach to house to decorate. Dust roof with icing sugar.